Those at the Hastings event also made a short animation  to publicise a push for East Sussex residents to sign a petition calling on East Sussex County Council to stop investing local people’s pensions in fossil fuels . The ‘Divest East Sussex’ petition already has over 3,000 signatures and requires 5,000 to force a debate at County Hall. 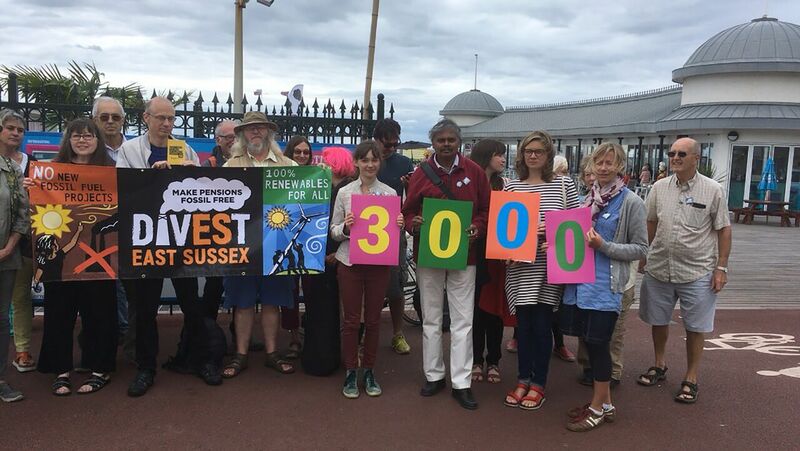 The East Sussex Pension Fund – which is administered by the County Council and holds the pensions for a wide range of organisations from across East Sussex – is estimated to have at least £150m invested in fossil fuels . 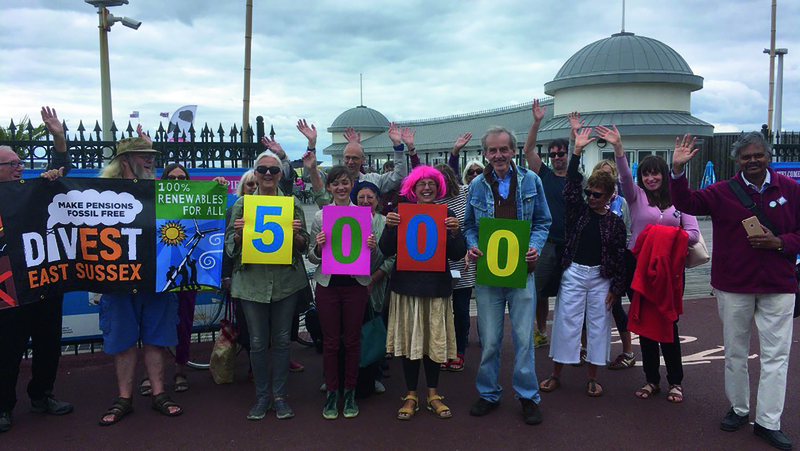 Three members of the East Sussex Fund – Hastings Borough Council, Lewes Town Council and Brighton and Hove City Council – have already passed motions calling on the Fund to divest from fossil fuels . ‘Breaking the tragedy of the horizon – climate change and financial stability – speech by Mark Carney ‘, 29 September 2016, http://www.bankofengland.co.uk/publications/Pages/speeches/2015/844.aspx. ← Join the Rise for Climate global day of action on Saturday 8 September!